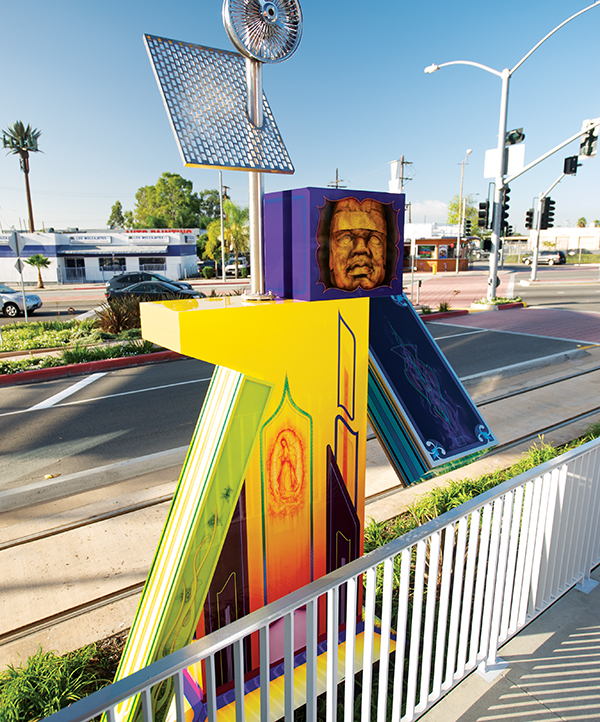 Adobe LA created a series of benches with tile rugs at the platform and a large scale free standing sculpture inspired by the striking and colorful design culture of Eastside living rooms, shops, cars, and toys. 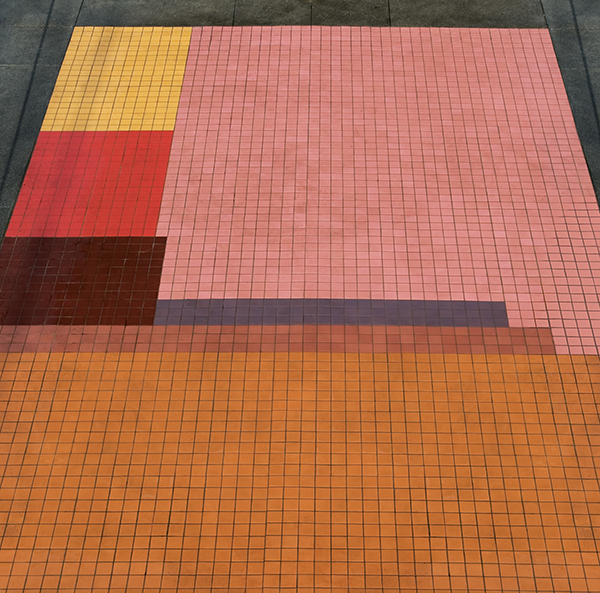 By researching local residential and urban design culture, Adobe LA collected a variety of design motifs that survey what local residents are comfortable with and proud of, and manifest this knowledge into an artistic outcome in the station environment. ADOBE LA is an arts collective of architects and designers including Ulises Diaz, Gustavo Leclerc, Laura Alvarez and Barbara Jones. They have created inter-disciplinary artworks about the immigrant experience for the Museum of Contemporary Art in Los Angeles, San Francisco Museum of Modern Art, the Social and Public Art Resource Center in Los Angeles, the Los Angeles Criminal Justice Building, and various sites on the border between the U.S.A. and Mexico.